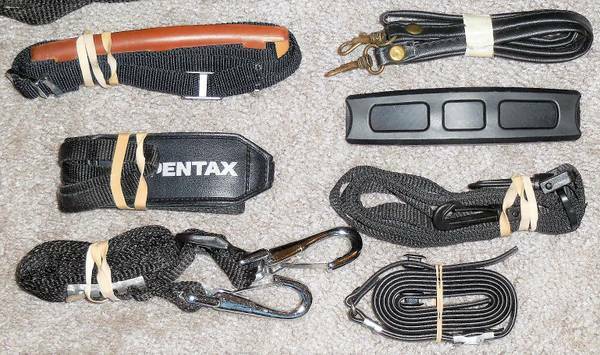 Several standard brands, some for heavy duty bags, vintage also, very mixed lot. 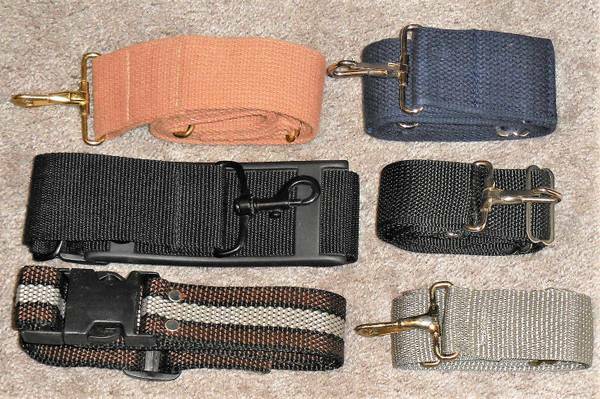 Some nice padded DSLR/SLR neck straps also. Pick and choose. 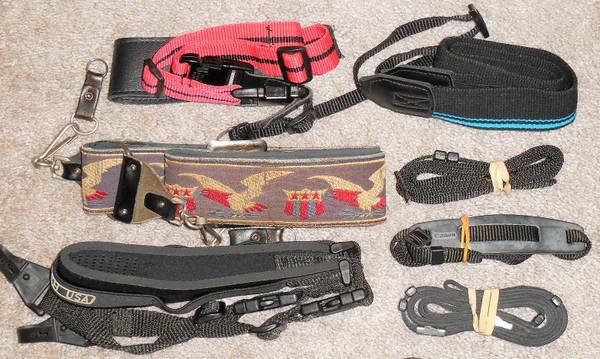 Prices from $1 - $10 for the professional padded neck straps.